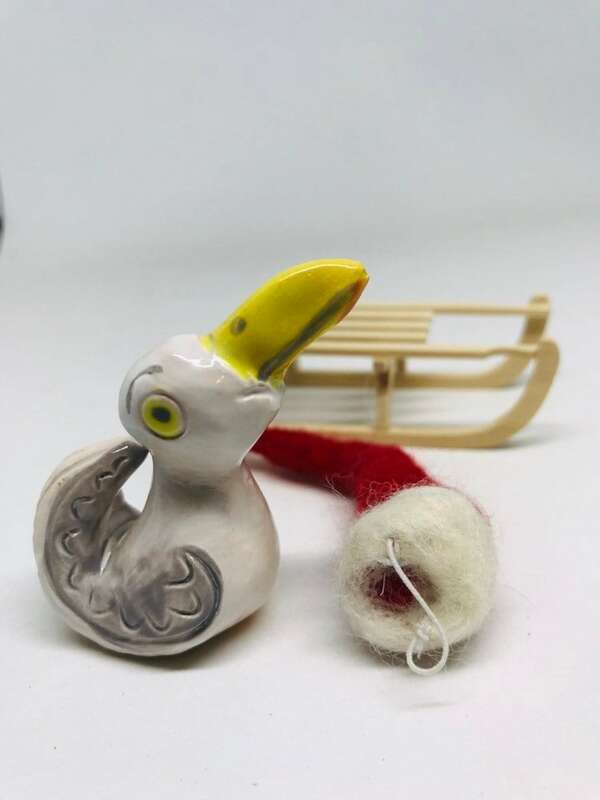 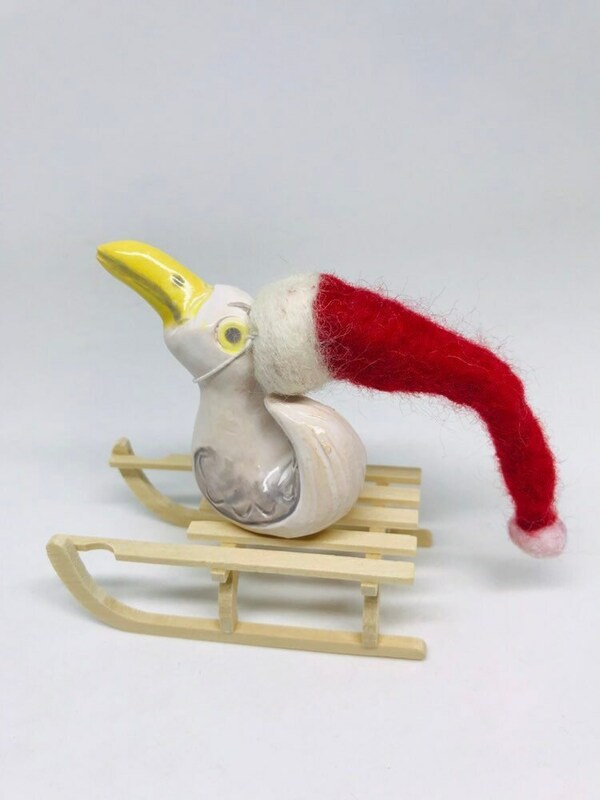 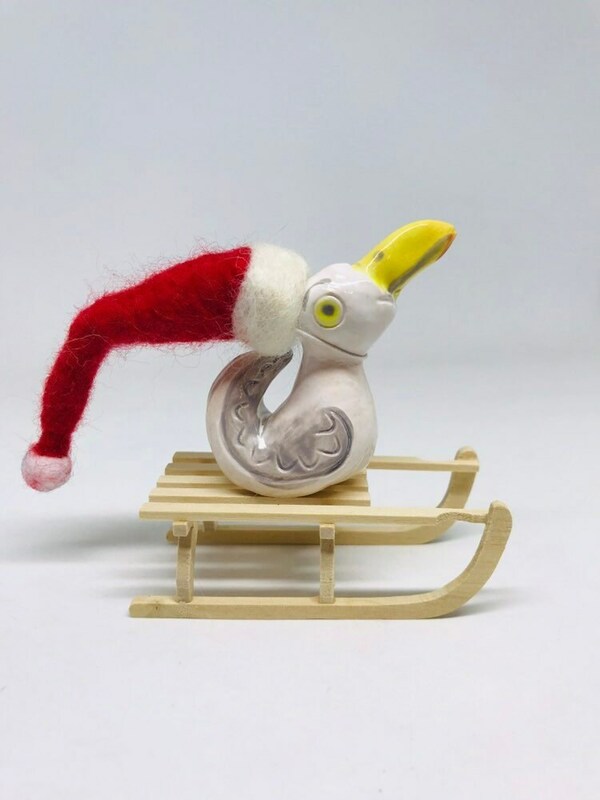 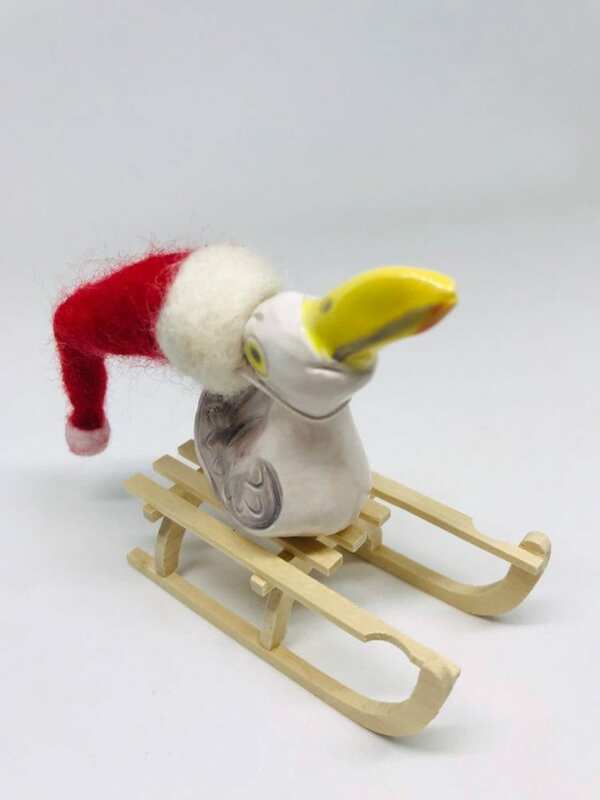 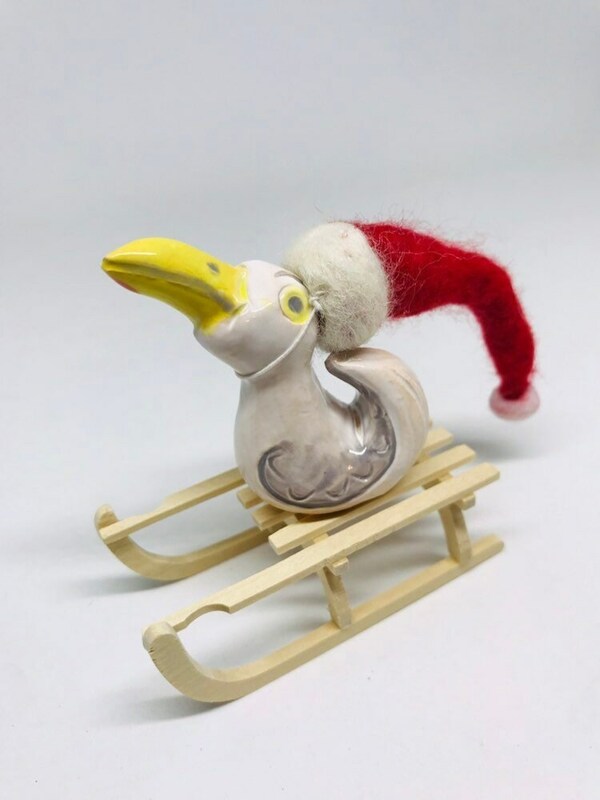 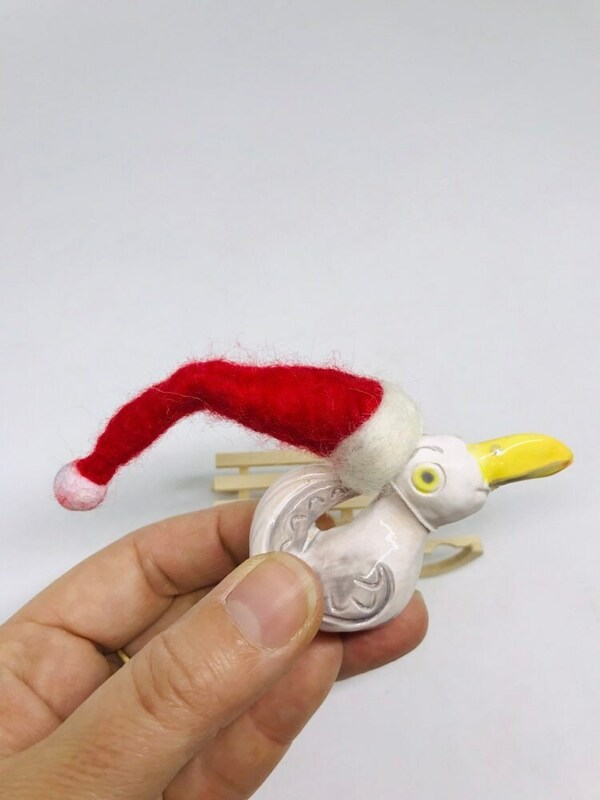 This listing is for a lovely ceramic seagull sitting on her sledge with her Christmas hat on. 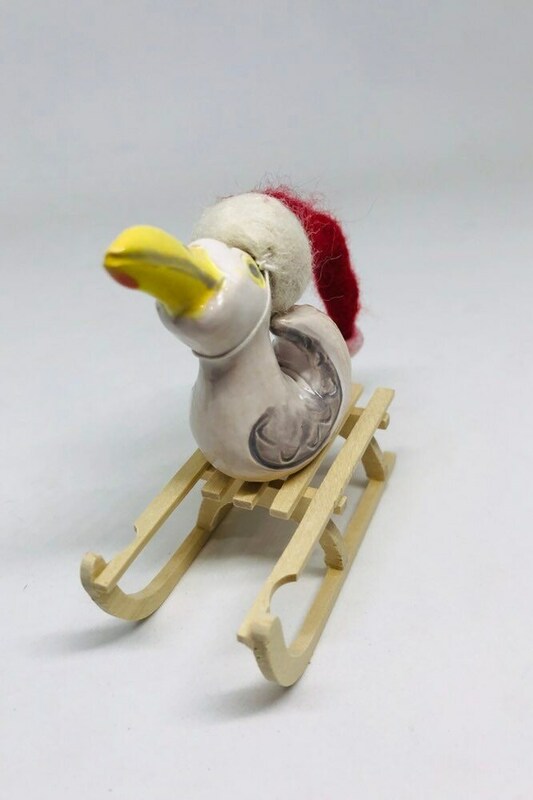 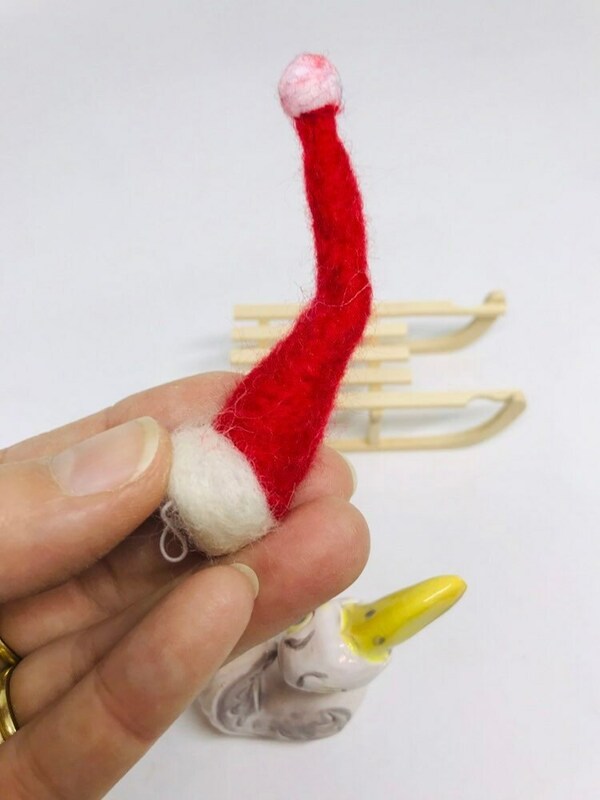 Which can be taken off after Christmas time..
His measurements are 6.5 cm high x 2.5 cm wide x 5 cm deep and with her sleigh she is 8.5 cm high x 8 cm deep x 3 cm wide. 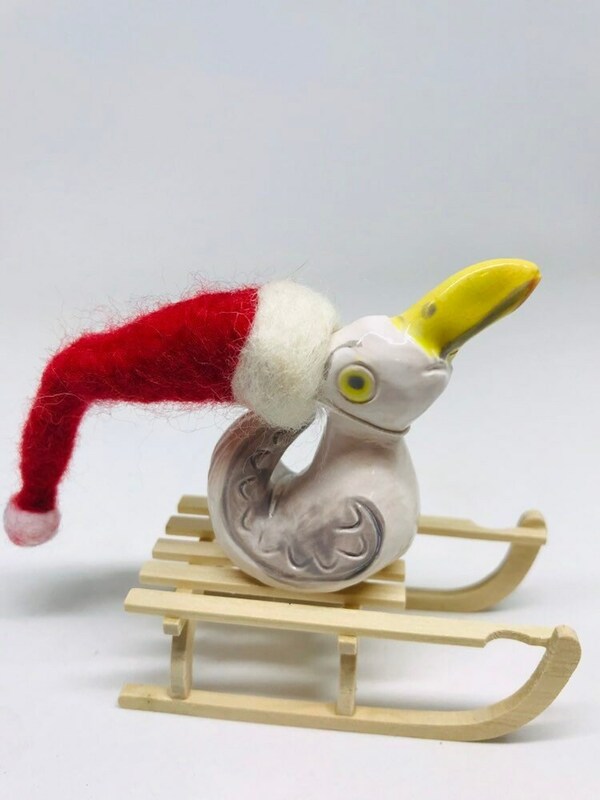 With her Santa hat on she is 11.5 cm deep.